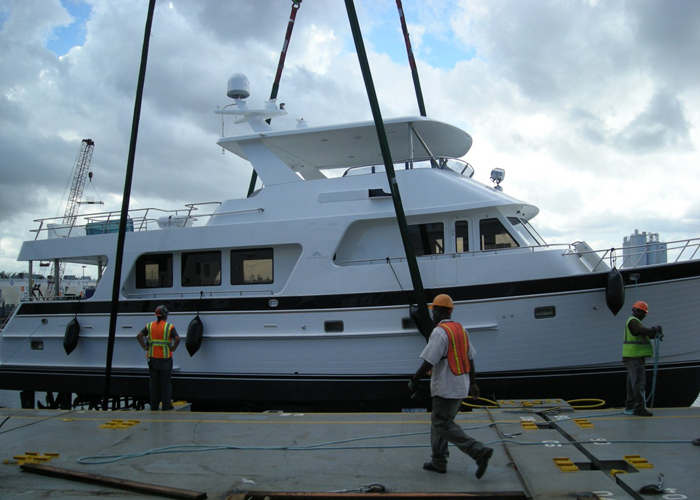 The first of the new Outer Reef 70 ”Hybrid” (convertible interior) arrived today in Ft. Lauderdale, FL. 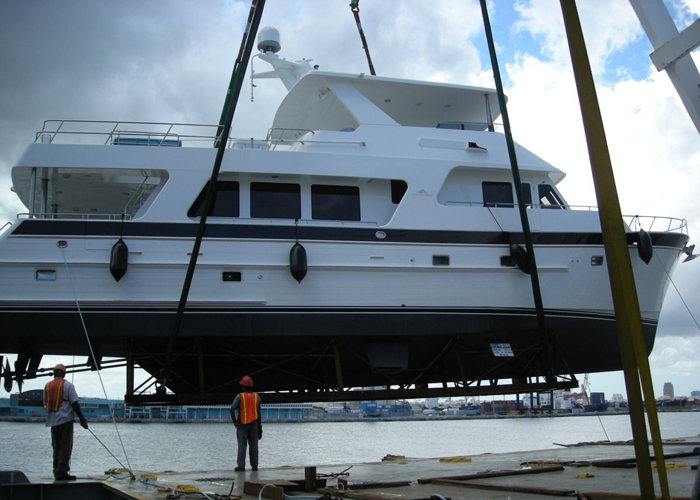 The offload was flawless with the assistance of our ace commissioning and delivery team - special thanks to Walt McCuiston, Dave Alshouse and Robert Mercado for a safe and successful offload. 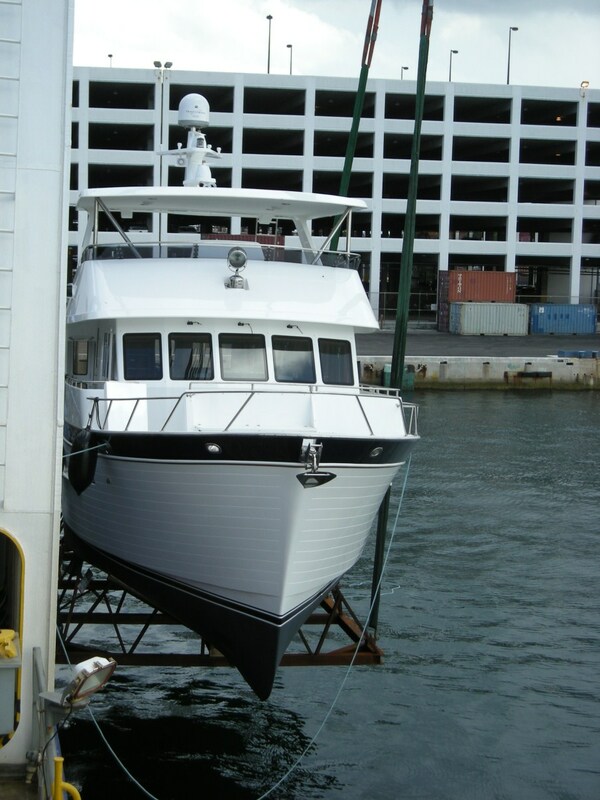 She will be commissioned in the next 2-3 weeks. 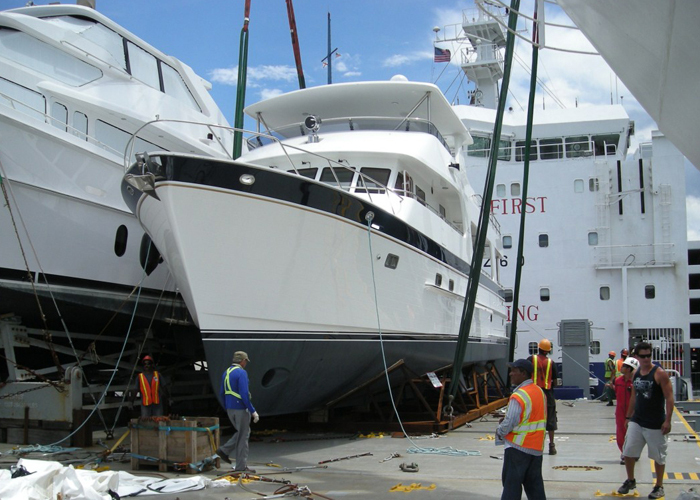 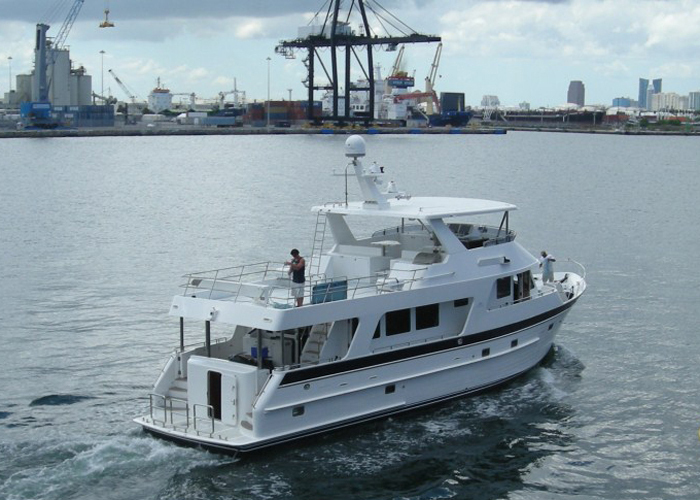 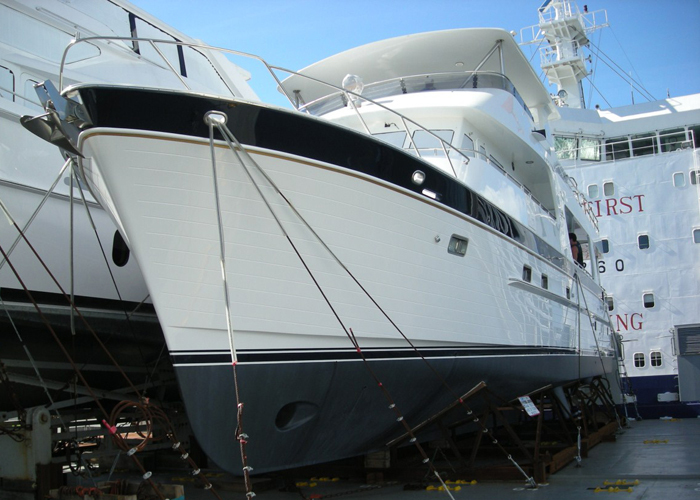 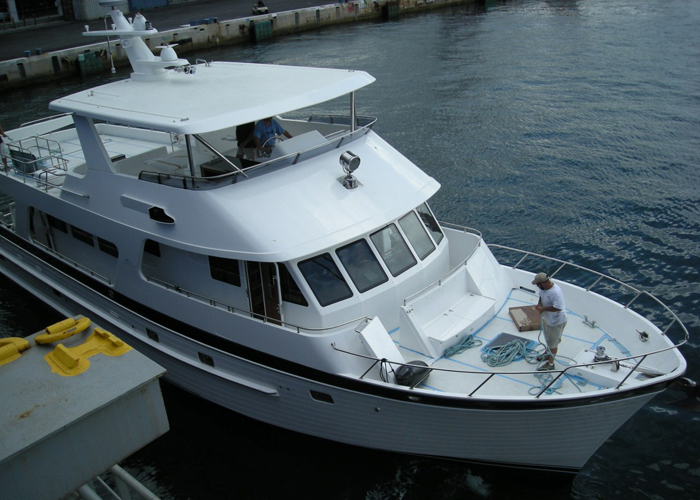 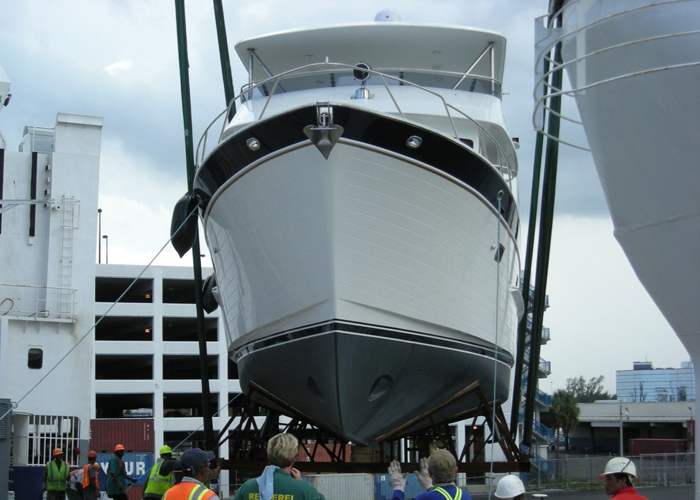 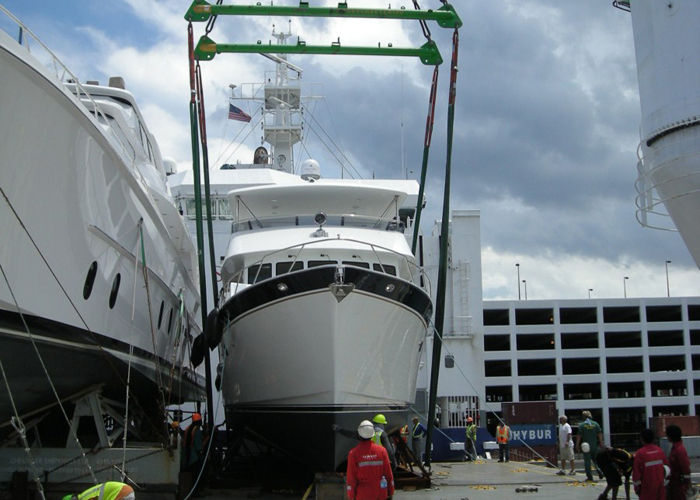 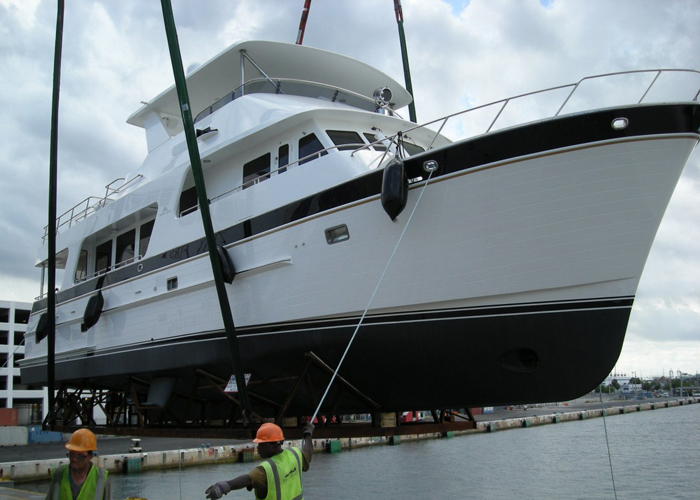 After commissioning she will be off cruising with her new owners and will not be back in Lauderdale until early October.